The ACU-PRO Overflow Measuring Profile System is designed to improve a weir’s hydraulic capacity and to accurately measure its overflow discharges. 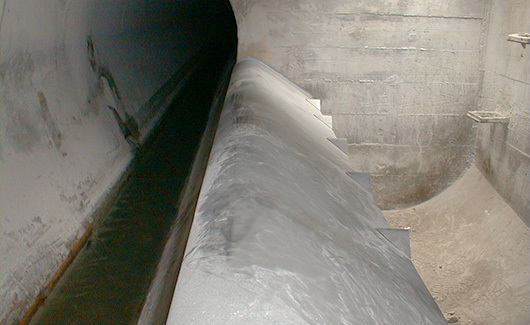 The ACU-PRO’s unique and extensively tested design utilizes the upstream and downstream water levels in conjunction with the flow curve to accurately monitor and record the overflow discharge at weirs. 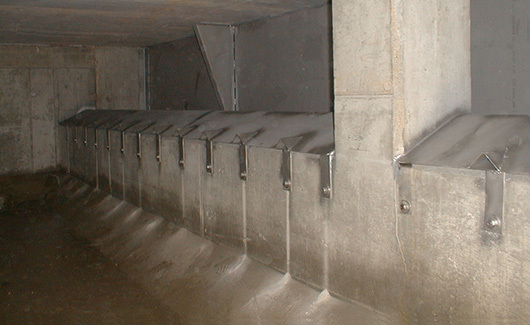 The ACU-PRO allows for installation in new overflow structures or can be retrofitted directly over existing fixed weirs. The following components are included in the ACU-PRO Overflow Measuring Profile System: the weir profile, the anchoring system, the ultra-sonic water level sensors and the control panel. The ACU-PRO Overflow Measuring Profile System (model GAP) can be installed over any weir and vary from a model GAP-1 to GAP-20. The GAP-1 is 1 foot (30 cm) long and the GAP-20 is 20 feet (6 m) long. The ACU-PRO’s model selection is based entirely on the weir length. The units are modular in design with a single unit being up to 20 feet (6 m) long. 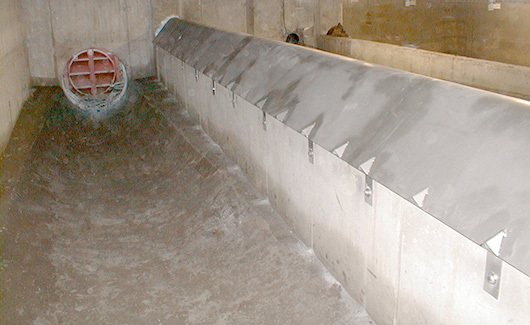 The hydraulic capacity of the ACU-PRO is at least equal to that of a standard overflow weir. The ACU-PRO Overflow Measuring Profile System is a passive device that requires no external energy to operate when used to increase the hydraulic capacity of a weir. When used as a measuring device, it must be used in conjunction with upstream and downstream level monitoring sensors and a control panel. In case of power failure, the ACU-PRO Overflow Measuring Profile System can be equipped with a uninterrupted power supply (UPS) for continued operation.